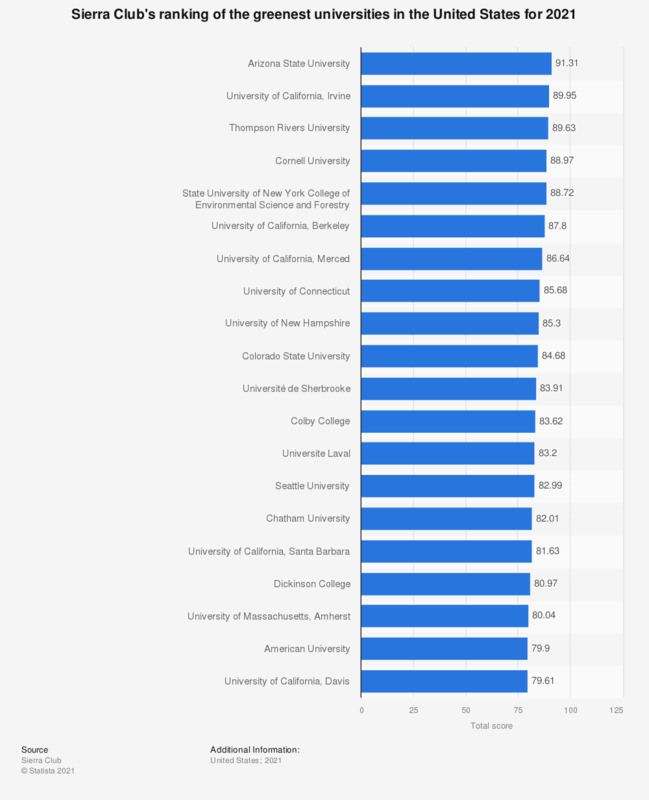 This statistic shows Sierra Club’s ranking of the greenest universities in the United States as of 2018. To calculate the ranking Sierra Club looked at the range of sustainable practices, research and programs offered by universities as well as total emissions and energy consumption and also a number of other factors including vegan catering options, water initiatives, bike facilities etc. Green Mountain College was ranked first as the greenest university of the U.S. for 2018 with a total score of 86.95. The methodology used to create the index can be found here.